Wondering what details to look out for when deciding on a catering service for your upcoming party? The food and service can indeed make or break any event large or small, so choosing the right one to deliver the standards that you expect is essential. When searching around for the right caterer to hire, there are some key components to focus on that will let you know just how seriously they take their business. 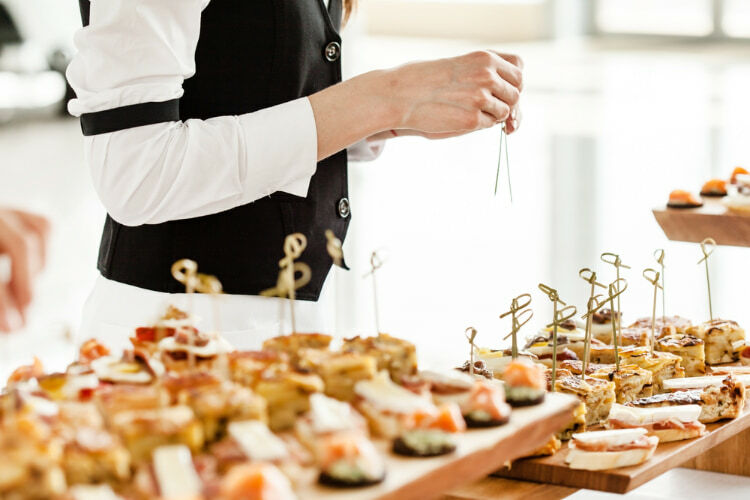 Here are our top tips for identifying what makes a top-tier catering service, and how you can feel confident with the one that you choose for your next occasion. Of course, like any food-related business, their menu should only include fresh, quality ingredients. Regardless of the venue, location, or service, this should be the first and foremost focus of any top-tier catering service. Food is always a focal point of a gathering, so you want a reputable catering company that can exude the level of standards that you expect. They should also be able to appease a range of palates and dietary restrictions in their selection, such as vegan and vegetarian options that are equally served with fresh and tasty ingredients, and not just as a side-swept option. If the food is excellent, but the level of service isn’t up to par, it can put a damper on your entire event and leave a negative impression with your guests. So when you’re inquiring about their services, pay attention to how their representative communicates — how quickly do they respond to your questions and how willing are they to accommodate your needs? Any quality caterer should know that exemplifying excellent communication skills and having well-trained staff who are polite and courteous is essential for the success of their business. And remember, their purpose is to cater to your needs (to a reasonable extent, of course), so if you feel like you’re being brushed aside or ignored, it’s probably best to keep searching. Whether you’re hosting a family affair or a professional gathering, there should be little room for error. As a top-tier catering service, the goal is to leave a great lasting impression with your guests. So attention to detail — including the presentation of food, and the service from staff — should be on point and ready to make your event memorable for all the right reasons. From simple to elaborate, our professional catering services at Centurion Conference & Event Center always provide the very best in quality food, service, and care. We offer a wide range of menu options with fresh, homemade cuisine from our Executive Chef that will appease virtually all tastes and preferences. And, with professional and courteous staff on hand, you can feel confident that your guests will receive the best service and care to leave a great lasting impression. Contact us today to learn more!